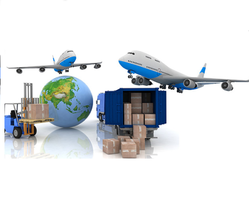 With the help of our skilled professionals, we are able to render services for Air Freight Forwarding Export Service. Our valuable customers make sure with effectiveness and cost efficiency in their import shipments fundamentally, owing to our huge network of organization global and the huge volumes. Everprime Shipping offers expert international air freight forwarding services.From small express shipments to large scale projects, our air cargo experts can provide you with the best solutions to match your needs. Designed specifically to cater the needs of global markets, we combine speed, value and time for xpress delivery with a fast transit of your consignments within a time frame of two-to-five days. We handle all airfreight shipments in the most professional, reliable and expeditious means possible and ensure safe, timely and cost effective delivery at destinations around the globe.Our airport-to-airport service using the most appropriate carrier is ideally suited to customers with a high volume of business requiring time-critical delivery. Export Coordinators represent the liaison between various sales groups and work with international customers. Typical Export Coordinator resume samples describe duties such as invoicing, conducting market research, handling pricing information, taking and approving orders and arranging shipments. As a leader in the Air Freight industry, we continue to provide innovative air freight solutions for our customers from across the India to across the globe. Our excellent network and operators are available 24 hrs a day, and seven days a week. 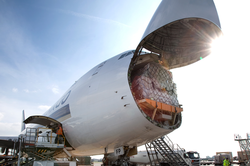 Our Air Freight Forwarding Services are very popular with our clients. Compared to other forwarding agents, we provide great flexibility to our clients along with prompt and timely delivery. Our services are priced competitively. We offer time bound airfreight services with no restrictions on size nor weight.